It was a normal Tuesday afternoon for the rest of Manila, but for 40 families somewhere in the streets of Malaria, Caloocan, it was extraordinary. That day marked a new beginning for their lives as they enter their somewhat old yet new homes for the first time. GK Malaria, better known as GK Silver Heights, is a community composed of 80 families who have been through one tragedy after another. Last 2011, their homes were destroyed by a raging fire that left them with nothing. That’s when Gawad Kalinga (GK), together with the Caloocan local government unit (LGU) & National Housing Authority (NHA) came to help these families start again. 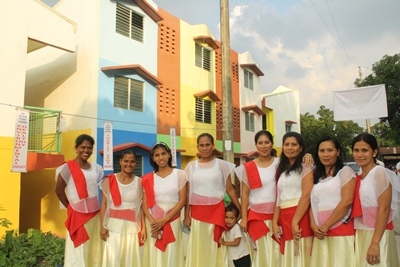 GK Partners such as Hyundai, Bank of America Merrill Lynch, All 86, All 87, All 88, and St. Anthony Tiu were the ones who helped these families rise again from poverty. 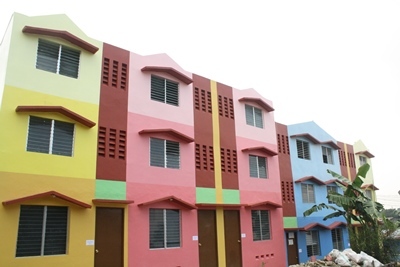 >> Read about St. Anthony Tiu's partnership with GK in "Bawat Pilipino Bayani"
The community saw that they were so blessed, they decided to wait for every house to be completed so that they can all move in together. Even if some of the homes were completed earlier, they decided to wait for the homes of their neighbors to be completed as well. It took almost three years for all the homes to be completed. 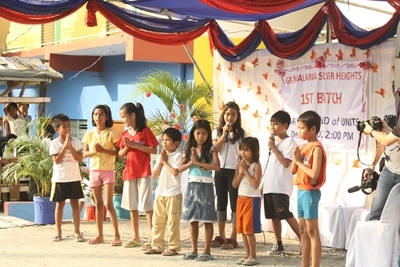 Finally, one fateful day, December 17, 2013 came the turnover ceremony for the Kapitbahayans (GK residents) to move into their new homes. 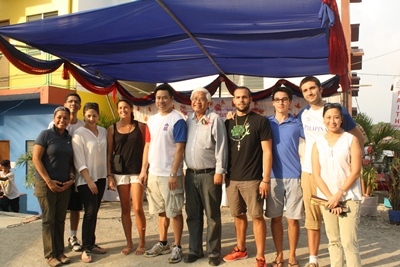 The ceremony was attended by the LGU, NHA, All 86 and All 87, and GK Father & Founder Tony Meloto. The celebration started with a beautiful prayer and followed by speeches from the different stakeholders of the community. Of course, the celebration wouldn’t be complete without the dance performances from the community. Lastly, it ended with the awarding of the homes to the families. One could really witness the bursting emotions of happiness and joy from the (Kapitbahayans) KBs and one could only imagine what they’ve been through and the long wait they had to endure. Stepping inside their new homes definitely had been such a fulfilling moment for the Kapitbahayans. GK Malaria better know as "GK Silver Heights"
Gawad Kalinga is not a charity, rather, it's an organization that aims to end poverty by building sustainable communities. This would not be possible without the partners who have journeyed with us in changing the lives of others. You too can be a hero to the poorest of the poor and partner with us in building sustainable and holistic GK communities! To build a community just like this, click here.